The Supreme Court bench of Chief Justice Ranjan Gogoi, Justice S. K. Kaul and Justice K. M. Joseph listed the string of appeals against the 2010 verdict of the Allahabad High Court in the Ram Janmabhoomi- Babri Masjid dispute in the first week of January, 2019 for fixing the date of hearing by an appropriate bench. “It will come up in the first week of January not for hearing but for deciding the date of the hearing. Hearing may be in January, February, March, whenever....also the bench by which it shall be heard will be constituted”, clarified the Chief Justice. Solicitor General Tushar Mehta, appearing on behalf of the state of UP, had urged that in view of the nature of the dispute, it may be taken up on an earlier occasion. 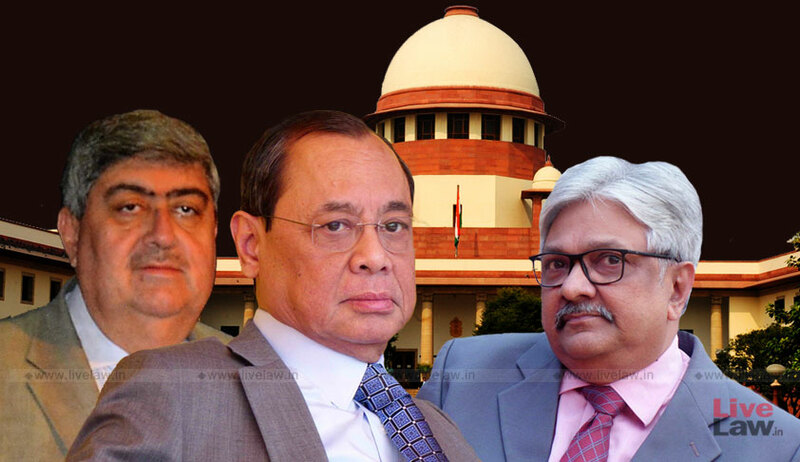 The appeals arising from the 2010 judgment of Allahabad High Court pertaining to division of Ayodhya-Babri Masjid land was listed before the bench of CJI Ranjan Gogoi, Justice S K Kaul and Justice K M Joseph under the caption "direction matters". On September 27, a three judges bench of the then CJI Dipak Misra, Justice Ashok Bhushan and Justice Abdul Nazeer had decided by 2:1 majority that there was no need to refer the matter to larger bench. The request for reference was made by Senior Advocate Rajeev Dhavan, the counsel for Sunni Waqf Board, on the premise that the observation in the Constitution Bench judgment in Ismail Faruqui case that "offering namaz in mosque is not an essential feature of Islam" required reconsideration. The majority of the then CJI Misra and Justice Bhushan opined that the said observation in Faruqui was not relevant in determining the title dispute of Ayodhya-Babri Masjid land. The majority held that the observations in Faruqui were made in the context of deciding the issue whether a mosque could claim immunity from land acquisition proceedings. However, dissenting from this view, Justice Abdul Nazeer held that the observations in Faruqui case influenced the High Court decision in the title suit, and hence required reconsideration by a larger bench. After declining the plea for reference to larger bench, the majority had fixed the next date of hearing as October 29. In December 2017, a plea for postponing the hearing after 2019 Lok Sabha polls was made by Senior Advocates Kapil Sibal, Rajeev Dhavan and Dushyant Dave, on the ground that the political climate was not conducive for hearing the dispute. However, the bench of the then CJI Misra turned down the plea, after a dramatic hearing session.